Staffordshire based hi-tech innovators SyTech IT have earnt the right to sell a new kind of security protection as the fight against cyber-crime intensifies. New figures have revealed that almost six million online frauds and crimes were committed in UK in the last year. 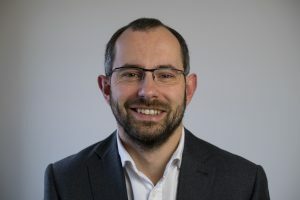 With hacking, identity theft and phishing now affecting around one in 10 of the UK population, IT expert Darren Kirby believes businesses need a new approach to beat the online criminals. Darren, Managing Director of Staffordshire Moorlands based SyTech IT, said: “Virus protection generally involves a programme designed to look at what is appearing on your computer and then sifting out the potential threats. With viruses mutating every day, this means new ones are missed until the software is updated. Having sought out the Avecto Defendpoint solution for his business clients, Darren had to complete technical training to become an Avecto partner. “I’m excited at being able to offer this solution to companies and wish it had been available to me when I was an IT manager as it solves many of the challenges of IT security versus empowering the users to do their job,” added Darren. SyTech IT focuses on finding solutions tailored directly to the individual needs of companies to help create business growth. The company is based at Biddulph Moor. Darren, who has clients nationwide, works by translating business strategies via technological solutions ensuring they select the best solution for their needs. He previously worked in director level roles helping to create successful companies. New figures released by the Office for National Statistics, in July 2016, revealed there had been more than 5.8m incidents of cybercrime in the past year, far more than previously thought and enough to nearly double the headline crime rate in England and Wales. To find out more about SyTech IT please go to www.sytech-uk.com.